UN base in Jonglei state besieged as five days of violence leaves over 500 dead. Bishops of various Christian denominations, including the Catholic Church, have again called for peace in South Sudan. The call came on the fifth day of violence which has left hundreds dead. In a joint statement, the church leaders, for the second time in two days, urged the country’s political leaders to remain calm and not to incite violence. On Thursday, the UN base in Bor in Jonglei state where civilians were sheltering was reportedly besieged. The number of casualties remains unclear but may include UN peacekeepers. 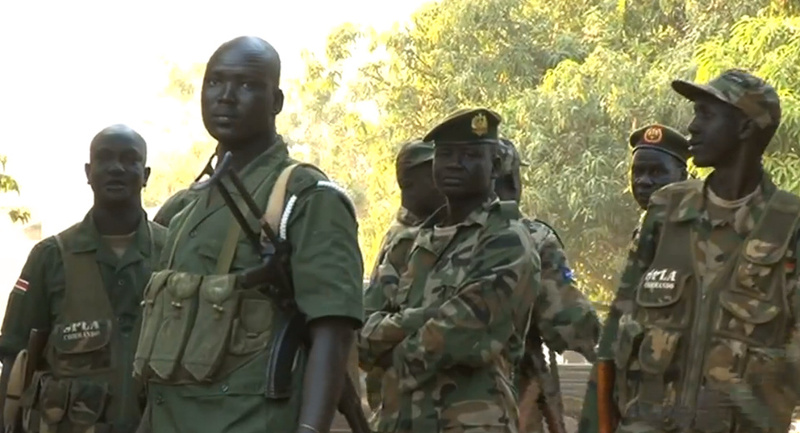 Those who attacked the UN compound are believed to belong to the Nuer tribe. However, infighting within the ruling SPLM party has been blamed for the violence in the capital Juba on Sunday which resulted in the deaths of over 500 people and a failed coup. The violence later spread to Bor in the north of the world’s newest nation. On Monday, President Salva Kiir said in a statement that the government had defended itself from attacks in Juba, including an attack on the headquarters of the Sudan People’s Liberation Army by soldiers allied to the former Vice President, Riek Machar Teny. Elsewhere in his interview, Bro Ferreira said the population of South Sudan has lived through the trauma of decades of war and so the instinctive reaction … when the fighting first broke out … was to try to flee the capital Juba so as “not to be caught in the middle” of this conflict. He said the inhabitants of Juba are taking “buses, lorries” or whatever form of transport is available, to leave the city and return to their ancestral villages. Asked whether there are shortages of food and other essentials, Bro Ferreira said supplies have been normal up until now but he predicts shortages will occur in the coming days as more and more markets and shops close down because their owners are fleeing the city. Meanwhile, the authorities in Juba have announced that the city of Bor, the capital of Jonglei State, is falling into the hands of an army unit that has defected in favour of former Vice President, Riek Machar Teny. “The result of the ethnic conflict was seen already during clashes between the 15th and 16th of December in the capital Juba when several people were killed on the basis of ethnicity,” he told Fides. South Sudan became an independent state on 9 July 2011, following a referendum that passed with 98.83% of the vote. There is ongoing conflict between the government and at least seven armed groups in nine of its ten states. Tens of thousands remain displaced by these internal struggles. Opposition to the government accuses it of plotting to stay in power indefinitely, of not fairly representing and supporting all tribal groups and neglecting development in rural areas.